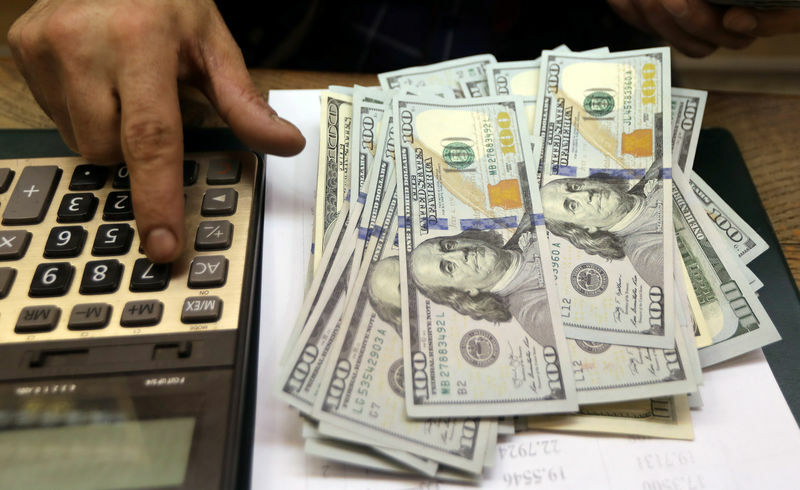 TOKYO (Reuters) – The dollar largely held onto the previous session’s gains in early Asian trade on Friday, while sterling edged up on news that Britain could leave the European Union without a Brexit deal at a slightly later date. Against a basket of key rival currencies, the dollar was about 0.1 percent lower at 96.394. The index had recovered three-quarters of a percent overnight after falling to a more than six-week low on Wednesday on news the Federal Reserve had abandoned plans to raise rates this year. British Prime Minister Theresa May on Friday welcomed the European Union’s decision to delay Brexit, saying that lawmakers in the British parliament now had clear choices about what to do next. Britain could leave the European Union without a Brexit deal on April 12 if lawmakers next week reject May’s agreement with Brussels, EU leaders said on Thursday. They also gave the British leader an extra two months, until May 22, to leave if she wins next week’s vote in parliament. Sterling rose one-sixth of a percent to $1.3126. It had retraced sharp losses overnight, when it touched as low as $1.3004. “Whenever we get news of the can being kicked down the road, the market reacts positively,” said Bart Wakabayashi, Tokyo branch manager at State Street (NYSE:STT) Bank. “Investors are probably shying away from exposure to the UK right now in terms of positioning – probably going back to benchmark exposures and wait-and-see mode,” he said. Figures on Friday showed Japan’s core consumer prices rose 0.7 percent in February from a year earlier, slowing from the previous month’s pace. The data underlines the fragile nature of Japan’s economic recovery, as escalating U.S.-China trade frictions and slowing Chinese growth weigh on exports and business sentiment. Against the Japanese yen, the dollar was a shade lower at 110.71 yen, staying well away from the 111-level last breached before the Fed’s rate announcement. Three in four Japanese companies expect U.S.-China trade frictions to last until at least late 2019, a sharp contrast to market hopes that presidents Donald Trump and Xi Jinping might soon strike a deal, a Reuters poll found. The euro was a tad lower at $1.1370, extending losses into a second session after dipping one-third of a percent overnight.